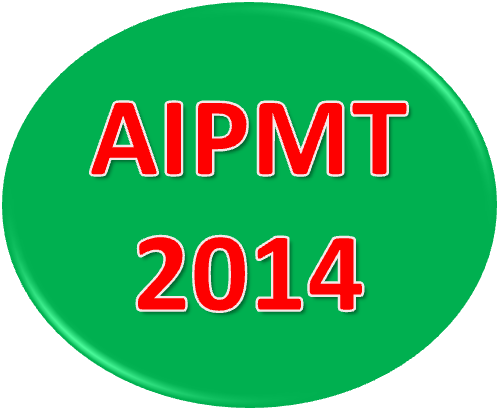 CBSE will be conducting the All India Pre-Medical / Pre-Dental Entrance Test (AIPMT-2014), for the academic year 2014-2015. 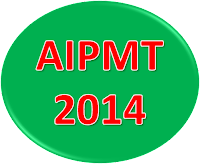 This exam is to fill 15% merit positions in medical and dental colleges of India. 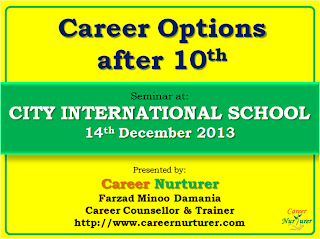 Farzad Minoo Damania (Career Counsellor in Mumbai - Career Nurturer) presented a Career Seminar on the topic "Career Options after 10th" at City International School, Mumbai on 14th December 2013. The seminar was attended by Class 10th students, their parents, teachers and School Principal. 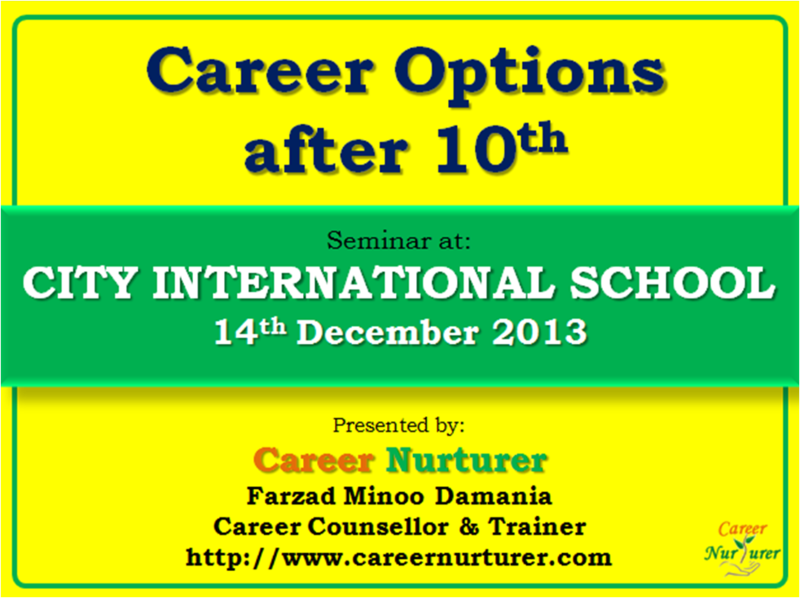 Here are some snapshots from the Career Seminar on the topic "Career Options after 10th" at City International School, Mumbai on 14th December 2013. SAT Test will be held on the following dates in 2014. 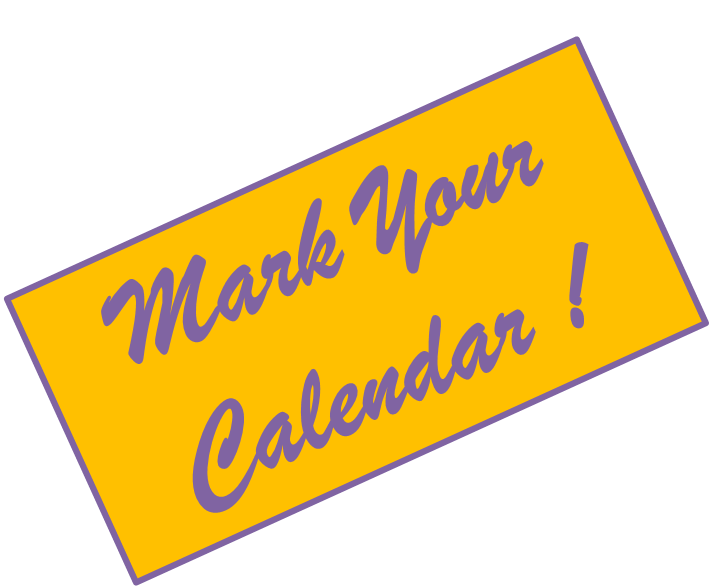 SAT Subject Tests will be held on the following dates in 2014. 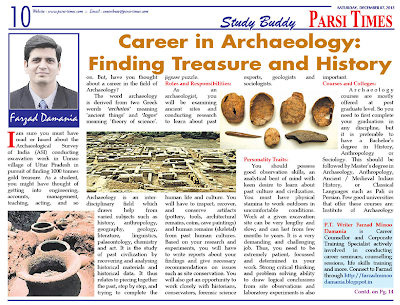 Check out my article publication in Parsi Times Newspaper dated 7th December 2013, on Career in Archaeology: Finding Treasure and History. I am sure you must have read or heard about the Archaeological Survey of India (ASI) conducting excavation work in Unnao village of Uttar Pradesh in pursuit of finding 1000 tonnes gold treasure. As a student, you might have thought of getting into engineering, accounts, management, teaching, acting, and so on. But, have you thought about a career in the field of Archaeology? The word archaeology is derived from two Greek words 'archaios' meaning ‘ancient things’ and 'logos' meaning ‘theory of science’. Archaeology is an inter-disciplinary field which draws help from varied subjects such as history, anthropology, geography, geology, literature, linguistics, palaeontology, chemistry and art. It is the study of past civilization by recovering and analysing historical materials and historical data. It thus relates to piecing together the past, step by step, and trying to complete the jigsaw puzzle. As an archaeologist, you will be examining ancient sites and conducting research to learn about past human life and culture. You will have to inspect, recover, and conserve artifacts (pottery, tools, architectural remains, coins, cave paintings) and human remains (skeletal) from past human cultures. Based on your research and experiments, you will have to write reports about your findings and give necessary recommendations on issues such as site conservation. You will also get an opportunity to work closely with historians, conservators, forensic science experts, geologists and sociologists. You should possess good observation skills, an analytical bent of mind with keen desire to learn about past culture and civilization. You must have physical stamina to work outdoors in uncomfortable conditions. Work at a given excavation site can be very lengthy and slow; and can last from few months to years. It is a very demanding and challenging job. Thus you need to be extremely patient, focussed and determined in your work. Strong critical thinking and problem solving ability to draw logical conclusions from site observations and laboratory experiments is also important. Archaeology courses are mostly offered at post graduate level. So you need to first complete your graduation in any discipline, but it is preferable to have a Bachelor’s degree in History, Anthropology or Sociology. This should be followed by Master’s degree in Archaeology, Anthropology, Ancient / Medieval Indian History, or Classical Languages such as Pali or Persian. Few good universities that offer these courses are: Institute of Archaeology (ASI) – Delhi, Banaras Hindu University – Varanasi, Delhi Institute of Heritage Research & Management – New Delhi, MS University of Baroda – Gujarat, and University of Madras – Chennai. The Archaeological Survey of India (ASI) is the major recruiter for archaeologists across India. Recruitment is conducted by the Union Public Service Commission (UPSC) and various state public service commissions. Other government organizations that employ archaeologists are: Indian Council of Historical Research (ICHR), National Archives of India, Indian Council of Cultural Relations (ICCR), All India Handicrafts Board, and Indian National Trust for Art and Cultural Heritage (INTACH). Cultural and historical divisions of Ministry of Tourism, Ministry of External Affairs, Ministry of Information and Broadcasting, Ministry of Education, and Ministry of Defence also employ archaeologists. 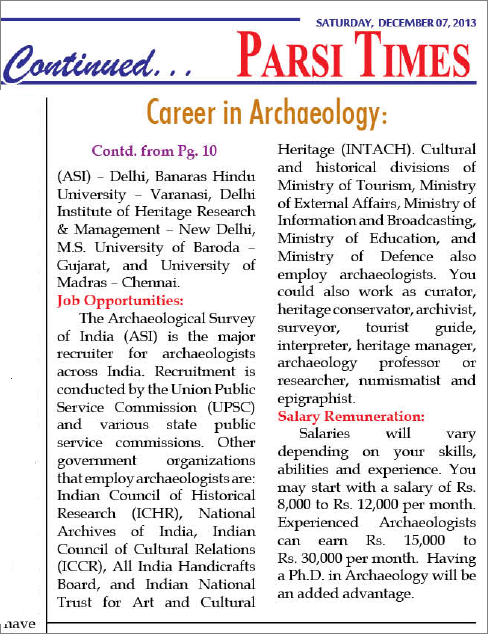 You could also work as curator, heritage conservator, archivist, surveyor, tourist guide, interpreter, heritage manager, archaeology professor or researcher, numismatist and epigraphist. Salaries will vary depending on your skills, abilities and experience. You may start with a salary of Rs. 8,000 to Rs. 12,000 per month. 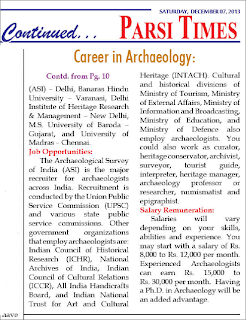 Experienced Archaeologists can earn Rs. 15,000 to Rs. 30,000 per month. Having a Ph.D. in Archaeology will be an added advantage. For all your career queries, career counselling, aptitude tests, and career guidance in Mumbai, Thane and Navi Mumbai areas, please feel free to reach out to me on farzad.damania@gmail.com or 9833971773. Career Nurturer provides Career Counselling and Career Guidance to students and adults in order to help them understand their abilities, aptitude, interests, personality traits, emotional intelligence factors and adjustment behaviour. It helps students understand their natural talent and hence helps them in selecting the right career path. There are several career fields and career opportunities that exist today in India and abroad. The Career Counseling process is to guide you towards the right Career Path. Career Nurturer provides Career Guidance in Mumbai, Navi Mumbai and Thane regions. Career Nurturer provides career guidance and counselling at convenience of your HOME. 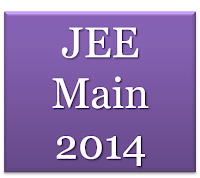 Students applying for the undergraduate engineering degree program at NITs, IITs, other technical institutions will have to give the JEE Main Paper 1 Exam. 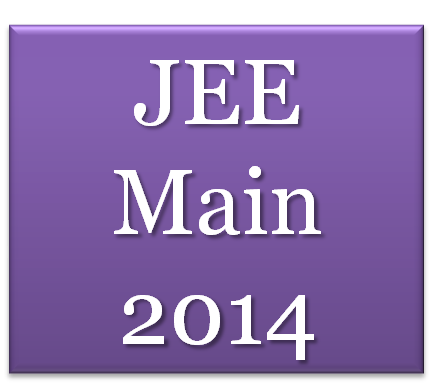 Students applying for undergraduate architecture degree program will have to give the JEE Main Paper 2 Exam. The student can take this exam in Pen-paper based format or computer based online format. Subjects tested will be Physics, Chemistry and Mathematics. The student can take this exam in Pen-paper based format only. Subjects tested will be Mathematics, Aptitude and Drawing.